Number Line, by The Math Learning Center | Clarity Innovations, Inc.
Students can use what they know about number relationships and computation to identify missing elements of sequences shown on the number line. This virtual number line is an open-ended educational tool, ideal for elementary classrooms and other learning environments that use iPads. 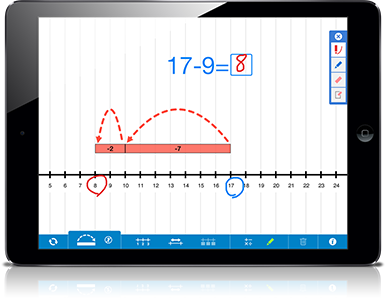 For more Number Line resources and other apps, visit: www.mathlearningcenter.org/apps.